Many people think that they can tolerate gluten if they do not experience immediate bloating, diarrhoea, constipation or flatulence. However, non-coeliac gluten sensitivity (which is just a fancy way of saying gluten intolerance) can rear its head in many, many different and sneaky forms. Therefore, it is worth clarifying whether it is actually a problem for you. As we know now, coeliac disease is just ONE type of gluten intolerance, with many, many diseases and symptoms being related to gluten without coeliac disease. The unfortunate thing is that, if you feel you may have a gluten intolerance, your healthcare practitioner may disregard your suspicions if you test negative to coeliac disease. It is, however, important to listen to your body. The removal of gluten has been shown to reduce adiposity (weight gain/obesity), inflammation and insulin resistance, which can result in loss of weight. If you’re worried about calorie intake changes, a study has also shown that a gluten-free diet induces weight loss even if the energy intake remains consistent. I also see with clients that weight gain occurs very quickly if gluten is reintroduced into their diet. It can occur overnight due to inflammation (holding of water), and overtime thereafter, there is an increase in fat storage. Gluten increases blood sugar levels dramatically, which can lead to weight gain in itself, though the inflammation it causes is a huge cause of the weight gain alone. The skin and gut connection has been researched extensively, and we know that gluten directly affects our gut microbes and can cause leaky gut. Both an imbalance in our gut microbes and leaky gut can lead to acne, therefore gluten must be ruled out as a cause of one’s skin problems. In hunter gatherer and primitive communities, acne has been found to be virtually non-existent, and the consumption of grains, let alone gluten, is next to none. 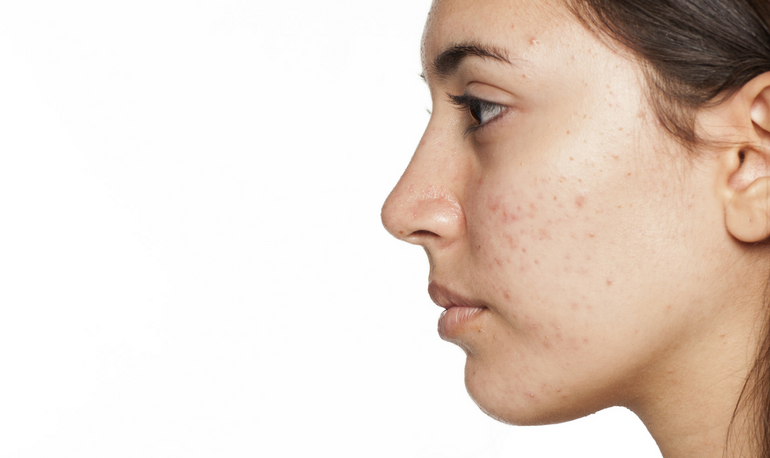 Acne can also be caused by consistent rises in insulin, insulin growth factor hormone and inflammation, and gluten-containing grains promote all of these. Inflammation is at the base of body aches and pains, so we need to find the cause of the inflammation. Gluten has been shown to be a contributing factor to joint and muscle pain, and fibromyalgia has been strongly linked to non-coeliac gluten sensitivity. I find that body aches and pains are a common symptom when it comes to gluten sensitivity. Interestingly, anxiety and/or depression is strongly correlated with non-coeliac gluten sensitivity both here and here. This is worrying when roughly 3 million Australians are living with depression or anxiety today, and avoiding gluten may be a simple change that is being completely overlooked. Removing gluten alleviates both anxiety and/or depressive symptoms. Both of these problems are linked to high inflammation, nutrient deficiencies and imbalances in the gut flora, all of which can be contributed to exposure to gluten. If you haven’t been tested for coeliac disease and you are consistently iron deficient, then I strongly urge you to consider further testing or to eliminate gluten. Although iron deficiency is less common in those with non-coeliac gluten sensitivity, it is worth ruling out – it can be easily missed as your results may not necessarily be positive for coeliac disease, though an underlying gluten intolerance can still be the cause. While we have listed only 5 symptoms here, there are many more that may be caused by the toast you are consuming just a couple of times a week, or the hidden gluten in your soy sauce! So, it may be worth your while to dig a little deeper. Considering a food sensitivity test for IgG and IgE reactions to a range of foods, as well as foods containing gluten. Do you have niggling or screaming symptoms you are looking to alleviate? Have you tried removing gluten? What symptoms have you noticed disappear after the removal of gluten? I’ve been off gluten for about 12 years after blood tests by my (integrative) GP. My symptoms were joint pain, headaches, foggy brain, feeling depressed and low iron. Last year I went off dairy, once again as suggested by my GP, and in 3 months, blood tests showed that my iron levels had tripled! Also, even though I’d stopped all dairy, my calcium levels also went up. We are what we eat!